Hope this puts a smile on your face once you realise that you can bring a little Bridgette Bardot to you life. She has always been my style icon. LOVE. ***Best done with second day hair, I’ve spritzed mine with some dry shampoo. ***When teasing hair only do it to 1/4 of the hair length from the root so that it can’t really be seen. You want lift, not a bird’s nest! Sprits with hairspray afterwards as if you spray first and then tease, it will leave you much of that white residue that resembles dandruff, and no one wants to see that! 1. 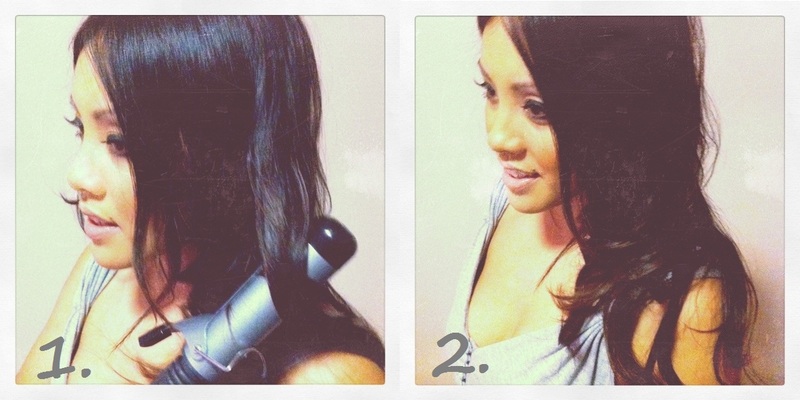 Curl hair with a large tong. I’m using Remington 1.5 inch barrell curler for a loose wave look. 3. Tease the top of you hair at the back, I’ve taken about 1/3rd of my hair around the crown hair. I’ve used a tail comb that you can buy at any department store/hair specialist store. I’ve tried to take away any hair line towards the back and teasing the hair will help do this. 4. Taking as much hair as you like to have back, hold it in place until you’re happy with the shape. I’ve opted for a small beehive shape and left some loose bits around my face to keep the look soft. 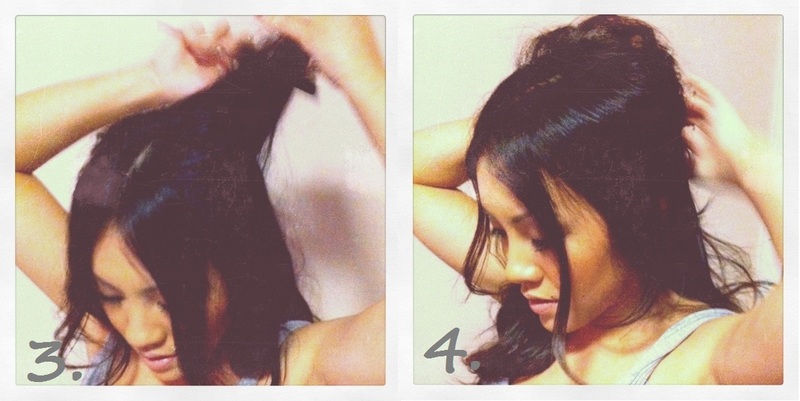 Pin you hair with bobby pins. Ensure to pin first where your fingers are as this will ensure that what you’re holding in place is secure. You can pull more pieces out after pinning if you feel it’s too tight. Voila…Bridgette Bardot eat your heart out! Have a lovely week dolls!